We haven't had to do a Peter TraversWatch in a while. Certainly he has been active enough, getting quoted eight more times than any other blurb whore on the list, but there appears there is legitimate progress being made in his overall value. That remains to be fully seen with seven more months to go in 2012 though we continue to be hopeful. Which is why when we see two Travers quotes in two weeks it is time for a much-needed reminder for studios in how they can do much better than quoting this blurb monkey. Before we get to those quotes this week, what would Criticwatch be if we didn't heed our own advice about perspective. It would be very easy to say that the major studios are not quoting Peter Travers because they have started to recognize that observers find his words laughable. Of course, that would be a moot point if Travers was actually going negative on the studio films. So naturally we did a little research to make sure we were not polishing our laurels prematurely. 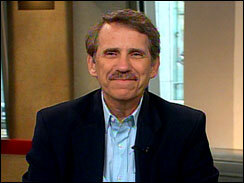 Right up front, Peter Travers has been quoted 21 times in 2012. This is down from 25 at the same period from last year. Not significant, but a start. In this time there have been 37 wide (new) releases from the seven major studios (including Lions Gate.) According to Rotten Tomatoes, Peter Travers has reviewed 25 of those films. 14 in the positive and 11 in the negative. Of those 14 positives, he has been quoted six times (21 Jump Street, The Hunger Games, The Cabin in the Woods, The Avengers, The Dictator and Snow White & The Huntsman). His positive-to-negative ratio on his reviews this year overall is 30-to-17. Nothing like making your film standout from the rest, right Searchlight? Three of those Travers quotes (Waitress, Garden State & Cedar Rapids) even came from Fox Searchlight ads. He ain't giving you anything you haven't heard from before, gang. 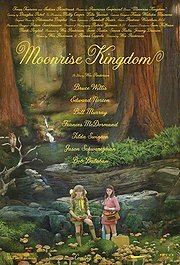 It's only the best reviewed film of Wes Anderson's career. Just because the filmmaker is prone to giving us the same old shtick doesn't mean you have to. Again, a] pair of words he is fond of using in non-discriminating ways. "Today's misfire just might turn into tomorrow's masterwork." Talk about burying the lead, Travers. He also refers to the film as "conventional" and "a missed opportunity." That is not how he opens his review though. It is in the first paragraph where you can find the "visual marvel" quote as he blasts the other Snow White film of 2012, Mirror Mirror and then offers up that Rupert Sanders' grim version "has a darkness that creeps into the soul." Damn, that's a movie you want to see, right? Most critics would use their opening to set the mood for a review and establish a brief take on their thoughts before expanding on them. Travers instead plants a couple of choice nuggets for the Universal marketers and then goes on to not back up his words but completely contradict them. Commenting on the look of a film, particularly when its stellar work on the part of a director and cinematographer, is a nugget of truth most film critics are happy to mention in their reviews. Especially when it stands out and there is little else to praise. Hell, we could all do that with Prometheus this weekend. Travers is a guy who likes to please though. He knows he is a go-to guy when it comes to ad-hacking and if he can make it easier for the studio engineers to find the one praiseworthy string of words in his somehow positive review of "a missed opportunity" he is going to do it. Love or like a movie, truth or lie to the hyperbole, this is the essence of quote whoring. 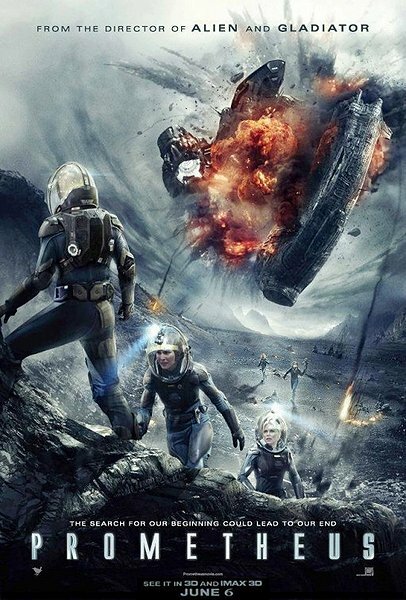 Just look at the Prometheus ads that began on Tuesday. No, Travers is not a part of it but it is time to play our favorite game - Let's Look At The Big Adjectives and One-Word Reviews with the Small Critics. It's a working title. As we pointed out when Freund appeared on the Dark Shadows ads last month, 7 of his 8 quotes to this point were for films that received reviews that ranged from very mixed to downright, unquestionable pans. Precisely what we expect from a one-word reviewer. On the first page of Kevin McCarthy's Rotten Tomatoes review page (from The Avengers through to last year's Thor) he uses the word "epic" in some variation SIX TIMES and refers to two films as "masterpieces." One of them is Drive and the other is Super 8 which he also refers to as "epic." Learn some new words, Kevin. Even if both films were in my Top 20 last year, not every film is Lawrence of Arabia. And it's Kellvin Chavez who wins the battle of the adjectives. He got the most one word reviews into the Prometheus ads compared to his fellow whores. Though here is the catch - Kellvin is not a reviewer of any kind. Unless it is in reference to trailers, TV spots, featurettes and posters. And he is not even good at THAT! Fox choosing to use him as a qualified reviewer is not just misleading to moviegoers anxiously awaiting word on one of the most anticipated films of the year, but it is downright insulting. He is not even an average joe off the street or on Twitter and Facebook being used to show how it connects with humans I guess (a la People Like Us). Chavez exists in some purgatory netherworld limbo in-between film reviews and people who comment on message boards about movies they haven't even seen yet. It is more disingenuous than insisting for God knows how many months that Prometheus was NOT a prequel to Alien only to now have the ads two days before release say with no ambiguity "Before ALIEN...there was...PROMETHEUS." Well before quote whores, there were film critics. We are still here, Fox. Use us. Not them. And not Peter Travers.